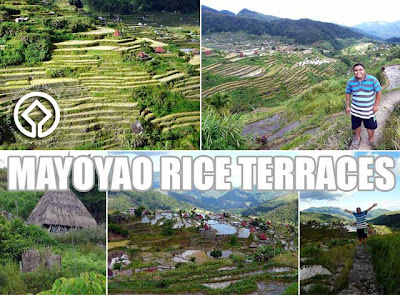 For four hours, we trekked along the rice terraces of Mayoyao. The good thing about the trek was that it was going down and our bus was going to meet us when we arrived at the bottom of the trail. It may have been tiring at times no thanks to the hot sun. But the views were the best and things started to get better when it got cooler and cloudy. Along the way, we passed by one of the oldest burial mounds in Mayoyao. These burial mounds are temporary resting places for warriors of a particular clan. I don't think any of them are still in use. 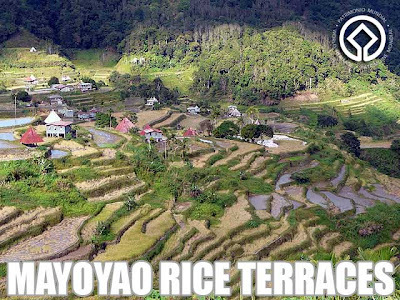 Mayoyao is known for its stone-walled terraces. And you'd also notice that the ground under the houses are also stone-tiled. Which gives a very natural feel. And I hope it stays that way since plain concrete floors will look intrusive and out of place in such a setting. I enjoyed the trek and the picturesque views of the terraces. The views could have been better if I was there while the rice terraces were being prepared for planting (glass surface thanks to the water) or when the rice was still green. Since most of the rice was harvested already, the rice terraces looked unkept. But the views were still wonderful nonetheless. Dinner was amusingly high on cholesterol composed of more traditional Mayoyao food. The head of the slaughtered pig was made into dinakdakan, a dish I would consider the local version of sisig although the meat in this case was not chopped as finely. We were also served some duck soup. I binged on the really sweet pineapples they served for dessert to neutralize all that fat. After dinner, we went to the town plaza for a wonderful cultural presentation of both the young and the old. 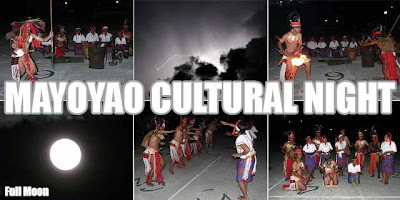 What is noteworthy about this all is the fact that the older group is not a performing group but actual cultural practitioners, bearers of the Mayoyao's age-old traditions. For those who are asking about the next tour, it will be in January, this time for the rice planting season. For reservations, please contact Josh Nalliw at +63 906 5308242. Great job Ivan! Congratulations with your photos. I would be interested with more published literature on the Mayoyaos. Can anyone help direct me to that? Thanks! You can contact Josh Nalliw. Are these Rice Planting Tours still available? do you still have rice planting tours for 2010? Yes, there is one this February. I'll post the details as soon as I have them. Thanks!